Eye-catching and intriguing, these TDK MA-XG audio cassette tapes are the last in a long line of such tapes I owned over the years. The more controls you put on the face of a device, the more I want it because using it makes me feel like I am piloting the starship Enterprise of the Apollo Command Module. Much of the sanctimonious preaching I do on my teaching blog is meant to emphasize the idea that artistic substance, not shallow devotion to technology, is the right direction to lead our creative energies. I preach that you can’t buy mastery, you have to earn it. I thought of this core concept as I began to assemble tonight’s entry, which itself is struggling to find substance in the midst of exploring what might be considered one of my shallowest enterprises: audiophilia. Wheels started turning in my head when I posted my last entry, about making mix tapes. The piece was well-received, with several people leaving very positive comments. One message we might take from all this, albeit a not-particularly comforting one, is that despite the endless cost demanded of us by the industrial/mercantile nature of modern life, in the end the technology benefits us in that it allows us to use smaller, lighter, better products for less money. An excellent example is this cassette tape next to this iPod Shuffle, to which I listened the entire time I made these photographs and wrote this entry. For only a small increase in cost, the iPod gives me almost 400 digital songs, all in precise digital format, against the 20 or so a cassette might hold. My JVC TD-V531 cassette deck featured a CD-direct input so you could copy CDs without insertion noise from the rest of your stereo. Several commenters on the mix tape blog entry said they still possessed their mix tapes, but no longer had any devices on which to play them. Hopefully they migrated the music if not the mixes themselves to newer media and didn’t lose anything truly valuable. It did remind me, though, that I actually still own two very nice cassette tape decks, a Sony TC-KE500S, and a JVC TD-V531. In addition to having incredibly pretentious model numbers, these machines had several vague, probably meaningless, feature descriptions printed on their faces, like Closed Loop Dual Capstan Mechanism, Half Shell Stabilizer, Headroom Extension System, Ceramic Cassette Holder, and Two Motor Transport Mechanism. I assume these were displayed on these tape decks to give them showroom appeal, so you could be impressed by these features without having to talk to a salesman. 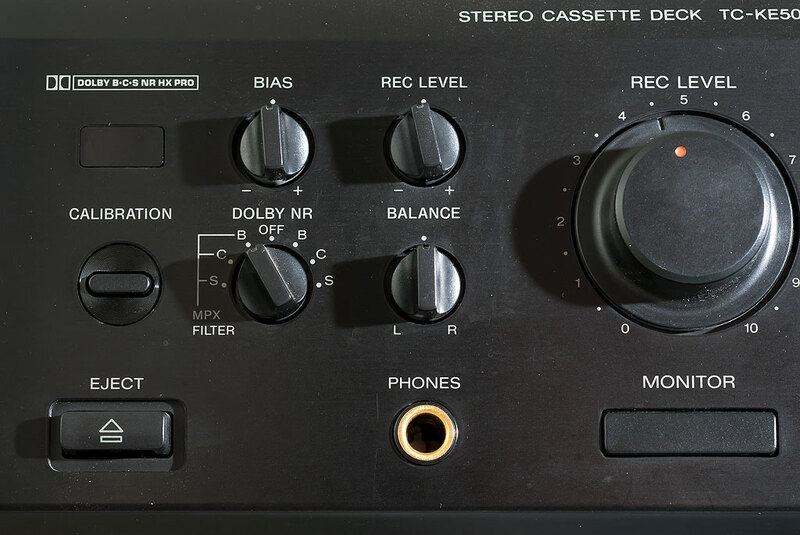 Better cassette tape decks had three “heads,” the magnetic inducers that altered the metal oxide or metallic coating on the surface of the tape. The one on the far left is the erase head; in the center are the closely-set record and playback heads. Separate record and playback heads improved audio because they were aligned and calibrated differently. Stereo store salesmen, and they were almost always men, were, like auto parts clerks, only in the business because they were devoted to the mechanics of their craft, and were universally impatient snobs who just wanted to tell you how much more they knew about audiophilia than you did. It is doubtful I ever met anyone in a stereo store I liked or who knew anything about the soul of music. 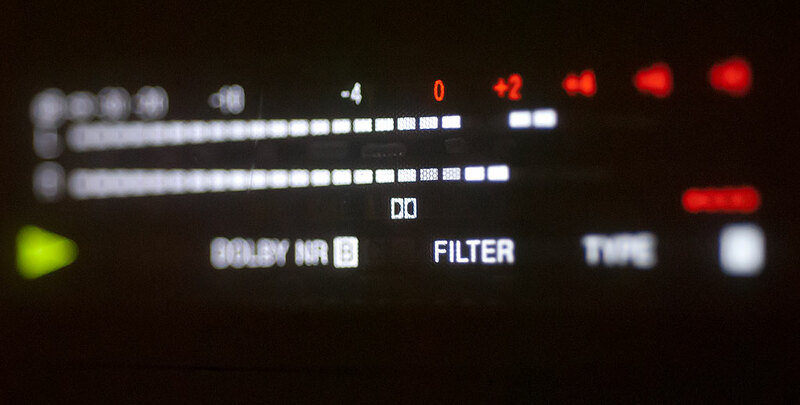 One reason I bought the Sony TC-KE500 tape deck was that I liked its display. 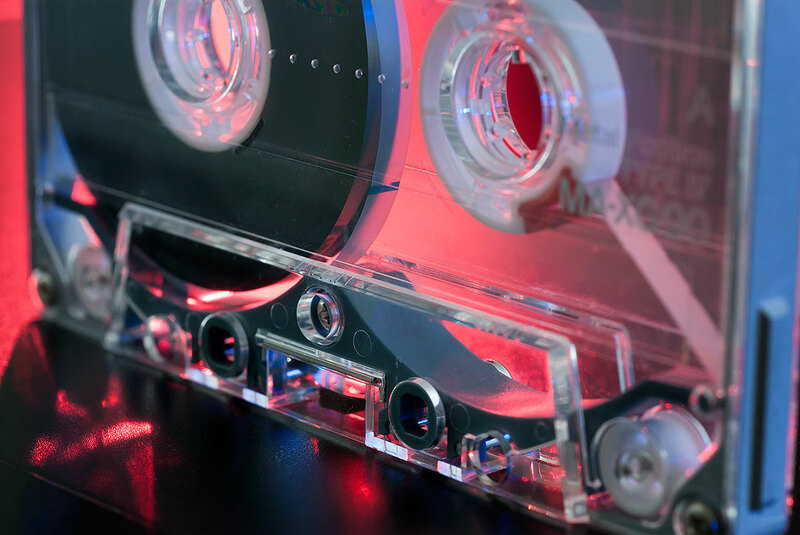 Often when listening to tapes, I would watch the display dance to the music. I got into the stereo scene in my senior year in high school, when I started hanging out with kids who were heavily into both home and car stereo. When they talked about it, they always talked about equalization curves and bias settings, sometimes arguing about them, but never about well-written lyrics or amazing guitar licks. Their stereos were badges of validation, not vehicles for being moved by music. 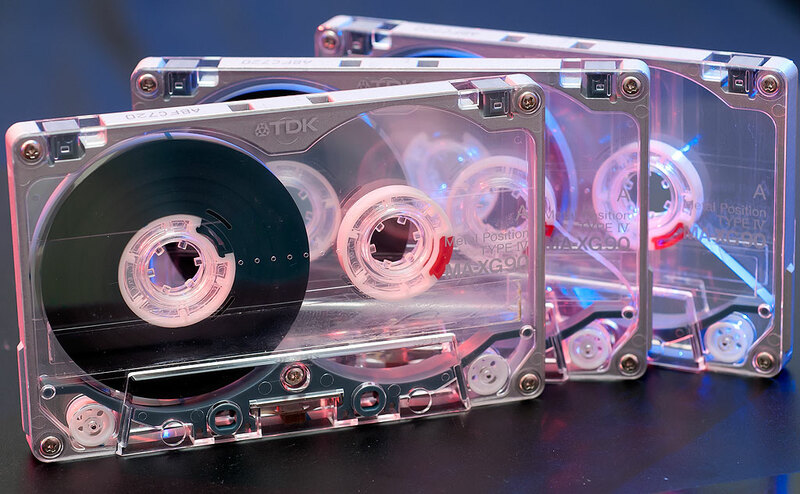 One reason it is so fun to photograph these TDK MA-R and MA-XG cassette tapes is their transparent cases, which allowed me to shine colored light through them. 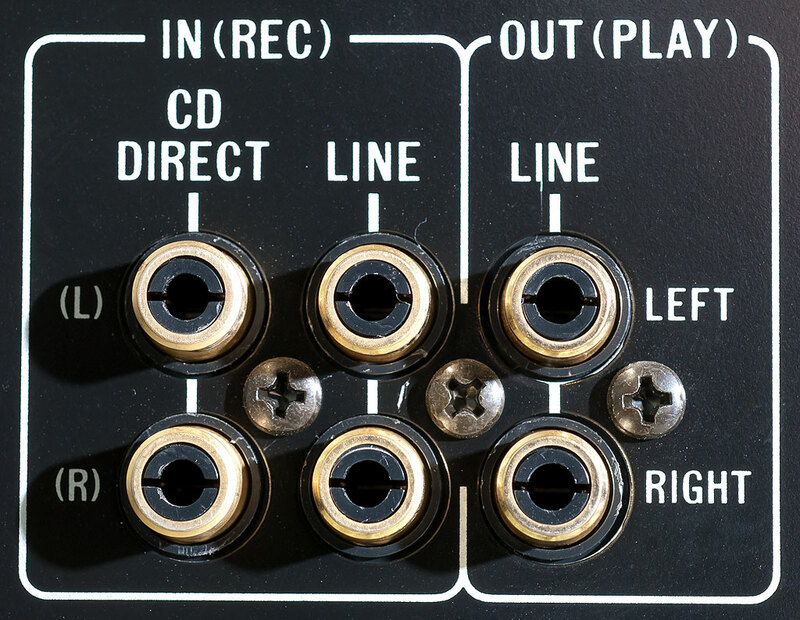 I carried much of this devotion to the audio scene into my adult life, though as time went by I was less and less interested in the machines, and more into the music. As I write this, I am tapping my foot and bobbing my head to the newest (and last) Third Eye Blind album. I don’t care how it was recorded and on what machines using what microphones. I am listening to the music and its message. 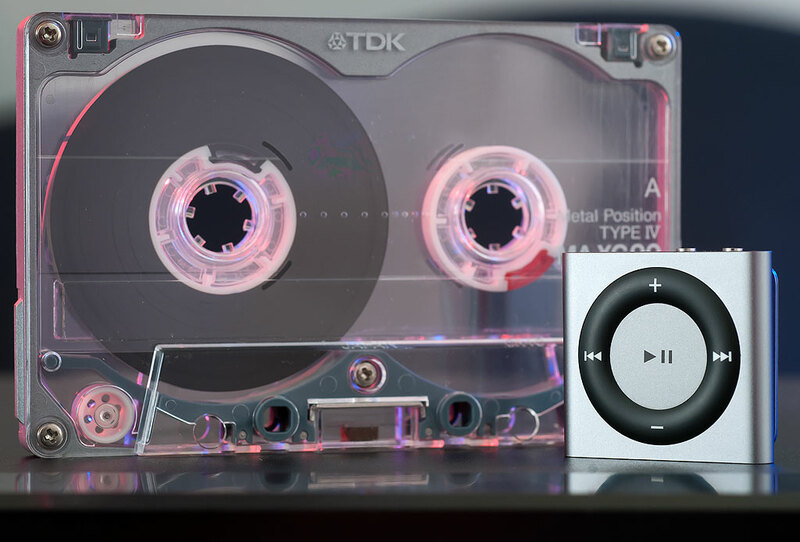 In addition to looking neat and feeling sturdy in hand due to their metal frames, the crazy-expensive TDK MA-R and MA-XG tapes featured a switchable erase-prevention tab. With every other cassette you just broke off the tab to prevent re-recording. In the present day I listen to music using the machinery of the current tech, without thinking about it much. I don’t particularly crave the latest Sennheiser headphones, or speakers with clean bass. In fact, I never play music over loudspeakers. At work I plug into my computer or my iPhone’s MP3 player. At home, Abby and I either watch movies or just talk, though when I am at work she likes to play country and western music on a boom box next to her recliner, since I don’t care for the genre. This is a Phillips MC-10 combo player. Originally purchased in the 1990s so I could listen to music in the darkroom at work, I brought it home for Abby, since I hadn’t used it in years. 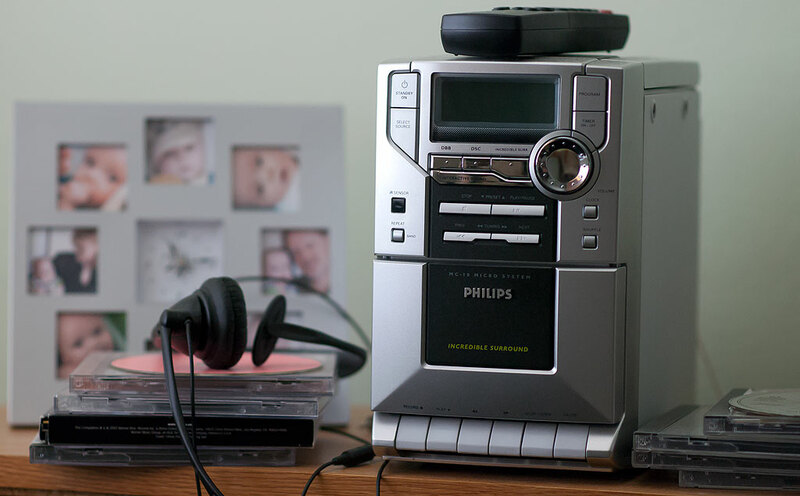 It will play CDs and cassette tapes. Recently I have pondered getting something that would allow me to listen to music while I mow. Presently I use earplugs. I would entertain suggestions about that. Abby is away this weekend, which is one reason I was able to spend time digging these tapes decks and tapes out of the attic and photographing them, which was very fun. It was also fun thinking about the nature of the way I listen to and enjoy music, more or less every single day of my life. I took the time to rewind these TDK MA-R cassette tapes so they would look more orderly. 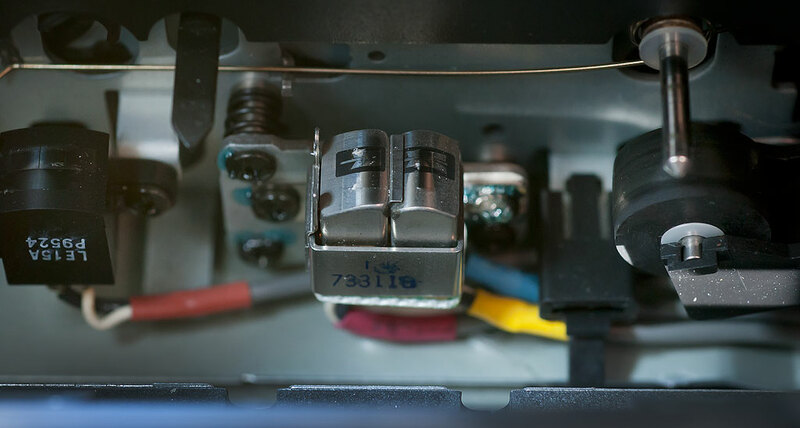 Photographing them and their tape deck partners was a fun way to spend a couple of hours. Of the many personality traits I share with my father, one that I noticed early and have always appreciated was a dual ability to enjoy music as art while also being fascinated by the science and technology of the various media used to bring music to our ears. Given the choice between being a fanatic gear-head or a closed-eye, nodding-head parishioner of music, we both chose the latter. I remember many hours-long sessions with my Dad, each of us taking turns playing music for the other, pointing out what we liked about each song — the punchline lyric (think: ‘went and named me “Sue”.’), abrupt tempo change (Turners’ “Proud Mary”), or cracking emotional vocal. I come from the era of playing cassettes on boom boxes as a kid. This was in the eighties, when cassette tapes had just finished replacing vinyl and 8-tracks as the delivery systems of choice for music. Of course, I still owned quite a few vinyl albums (the Star Wars soundtracks, “Urban Cowboy,” “No Jacket Required” by Phil Collins, CCR, “Thriller”), but by 1984 I was almost exclusively listening to cassettes. I remember in 1985 buying the first “clear” cassette tape sold at my local Walmart, which was “Agent Provocateur” by Foreigner (single: “I Want to Know What Love Is.”). 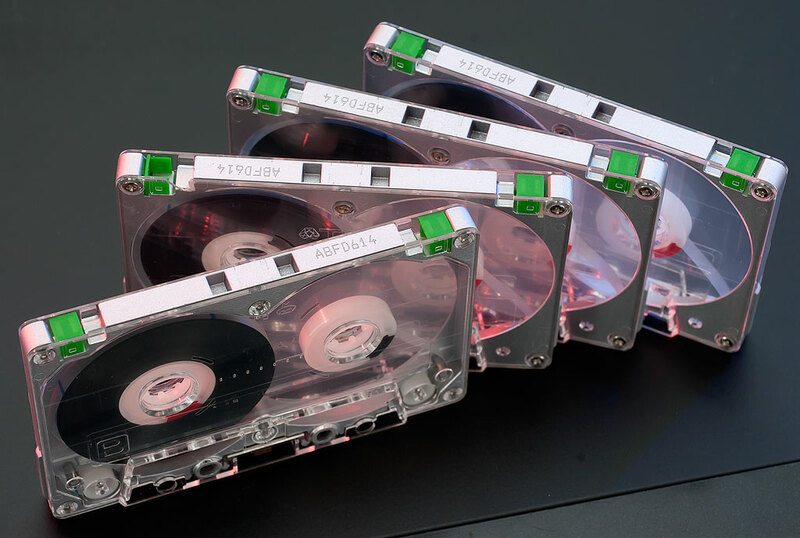 I thought it was really cool and began actively paying attention to groups that put out music on clear tapes. Those who did were instantly cooler than those who didn’t. Yeah, I was geeky that way. I had a little boombox that had a “danceable” light display though I had no idea what those little lights indicated. My uncle had the ultimate sound system though it was mostly for playing vinyl albums. It of course included a turntable, and he had Pioneer speakers. I always wanted a sound system as large and sophisticated as his but never came close to approximating it. About 10 years ago, I got my first iPod, the “classic” that held I don’t know how many hundreds of songs. It made me shift into a more private and internalized method of listening to music in that I tended to listen only on headphones. The iPhone was a real game changer in terms of not only technology but how I consume music. Today, I own very, very few CDs: Paul Simon’s “Graceland,” Garth Brooks’ “No Fences,” “The Force Awakens” soundtrack. I own no U2 CDs. Though I no longer have access to liner notes or album cover art, I’m rather grateful for the freed-up space. Today’s microchip-based sound systems fit my lifestyle in a way boom boxes and turntables never could.